Equity linked savings scheme (ELSS) is a type of equity mutual funds, investments in which are tax deduction up to Rs 1.5 lakh per fiscal year under section 80C. These funds are suitable for investors who are looking for long-term capital appreciation along with tax saving. Equity-linked savings scheme (ELSS) is a type of equity mutual funds, investments in which are tax deduction up to Rs 1.5 lakh per fiscal year under section 80C. An ELSS invests equal-to or more than 80% of its AUM in equities and equity related instruments. Investors can opt for either SIP’s or lump sum investment in ELSS. Wealth creation with tax-saving – Historically, it has been seen that ELSS schemes have given significantly more returns than other tax saving schemes like PPF, 5 years FD, EPF etc. Shortest Lock-in period – ELSS has lock-in period of 3 years which is the shortest lock-in period among tax-saving instruments. Returns are tax free - Returns in the form of capital gain as well as dividends are tax free in the hands of investor. These funds are suitable for investors who are looking for long term capital appreciation along with tax saving. Below are the some of the top 3 recommended ELSS fund. 1 year returns are absolute; 3 years and 5 year returns are CAGR. Aditya Birla SL Tax Relief ‘96 Fund does tactical allocation between Large-cap and Mid-cap to ensure optimal risk reward. The fund has invested ~41% of its AUM in large-cap stocks and ~51% in mid-cap stocks to generate higher returns. Axis Long Term Equity Fund invests in companies with sustainable profit growth to generate wealth over 3-4 years. Besides, the fund manager follows bottom-up approach to select the companies. The fund has invested ~70% of its AUM in large-cap stocks while ~25% in mid-cap stocks higher returns. 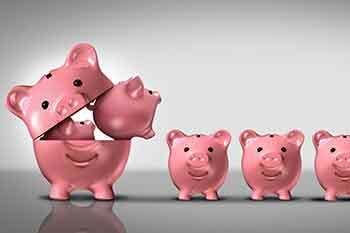 Reliance Tax Saver (ELSS) Fund does tactical allocation between large-cap, Mid-cap and Small-cap stock to generate higher returns. The fund invests in potential leaders with high growth prospect. Generally, the fund takes 2-3 sector call at a time and invests in high conviction mid-caps stocks. The fund has invested ~57% of its AUM in large-cap stocks, 25% in mid-cap stocks and 14% in small-cap stocks for higher returns.